See the birds______Meet the people______Nothing fancy______Just real. 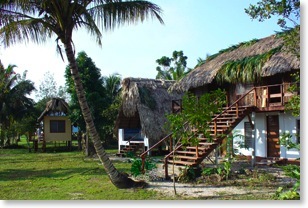 A real Belize village-life experience in an ecologically rich conservation area. 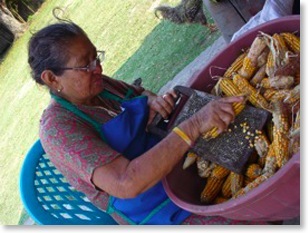 Come stay with the Tillett’s family in the friendly creole village of Crooked Tree, Belize and experience its rich culture and biodiversity. 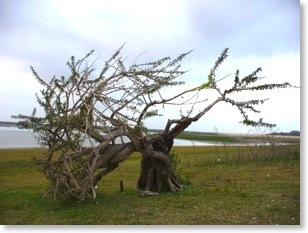 Crooked Tree village is surrounded by freshwater lagoons which form part of the wetland system protected under RAMSAR and the Crooked Tree Wildlife Sanctuary (CTWS). Grounds once walked by the Maya and the earliest European settlers, this village has proudly maintained its old traditional ways of living, making it one of the top areas in Belize to truely experience creole village life. Tillett’s Village Lodge offers budget accommodation and tours within the village and its neighbouring areas to individuals, couples, families and small groups. Our guiding principles are based on simple and warm old-fashioned hospitality while providing clean, comfortable and affordable accommodations. 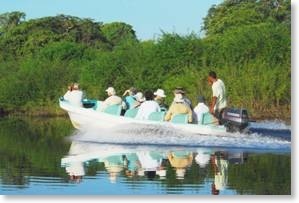 In our committment to expand your cultural experience, we offer village life experience activities alongside the standard ecological tours of the wildlife sanctuary. 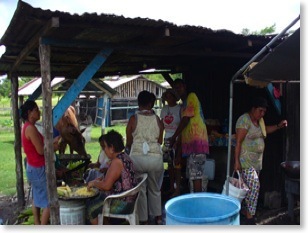 Out small kitchen serves local dishes typical of our everyday Creole village diet. Located in the center of the village, our small, family-run lodge is the perfect place to discover the village on foot or bicycle. Our little grocery shop nearby is a village watering hole, animated with the latest village news and stories. 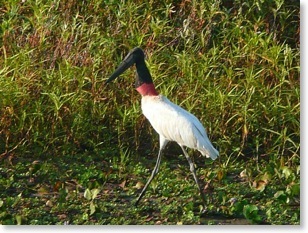 The surrounding 16,400 acres of wetland system within the sanctuary hosts up to 400 different species of birds, including the largest bird in the Americas, the endangered Jabiru, which uses the nearby area as its nesting and young fledging area. Other endangered species in the reserve include the Central American River Turtle (Hickatee), Morelet’s Crocodile, the Mexican Black Howler monkey, West Indian Manatee, and Yellow Headed Parrot. February through May are the best months to get close to birds and other wetland species when the waterways shrink to just about a third. The first weekend of May is the Crooked Tree Cashew Festival; the villagers exhibit their wide array of cashew products traditionally produced during the cashew harvest season from wild, naturally established cashew orchards. If you are the curious traveller who doesn’t want to dilute his experience by mingling with the crowd and wishing to enrich him or herself culturally and ecologically, then the Tillett’s Village Lodge is the place to stay. Tillett’s Village Lodge was formerly named Sam Tillett’s Hotel, after its founder and renouned tour operator Sam Tillett. Sam passed away on the 17th November 2007 but his love for nature and entertaining people lives on through his family. The Lodge has been recently rennovated and is now managed by Sam’s sister and his equally charming young son, Clifford ‘Charo’ Tillett. Sam was the first local Crooked Tree tour guide. His first tours date back to the early 80’s when he would take out guests in his small, handmade dug-out wooden canoe. 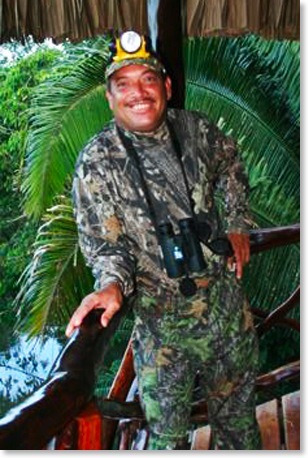 His love and passion for nature and people grew him into one of Belize’s best Adventure Guides. Growing up in Crooked Tree Village in close contact with both the jungle and the Crooked Tree Wildlife Sanctuary, he naturally became an expert on avifauna and nature tourism. He has contributed to some of the most authoritative books on birds of Belize. However, what made Sam unforgettable to everyone who met him was his ability to immediately put you on a ‘human’ level, his gift for story telling and his mischevious teasing, allowing you to relax and laugh a lot. Everyone who knew him has a laugh or two to treasure.